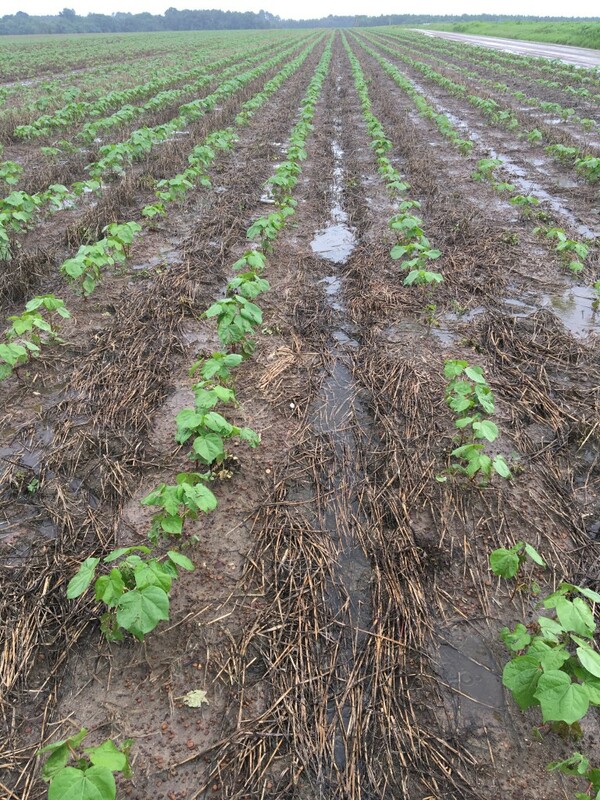 Posted in Cotton, Fertility, Peanut. Dr. Tim Coolong will be coming down to teach a class for those who currently or interested in Small Organic Farming or Urban Gardening on February 23rd from 10:30-11:45. 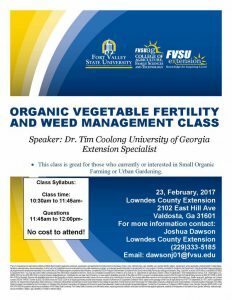 He will be talking about vegetable fertility and weed management. The information is below. If you have any questions, please contact Josh Dawson, Fort Valley Extension Agent. Posted in Disease, Fertility, Organic, Vegetables. We will be having a Row Crop Disease and Fertility production meeting Monday, February 6 at lunch starting at 12:00pm. Dr. Bob Kemerait and Dr. Glen Harris will be coming to talk. Please call the office at 229-333-5185 to RSVP. Look forward to seeing everyone there. Posted in Disease, Fertility, Trainings/Classes.